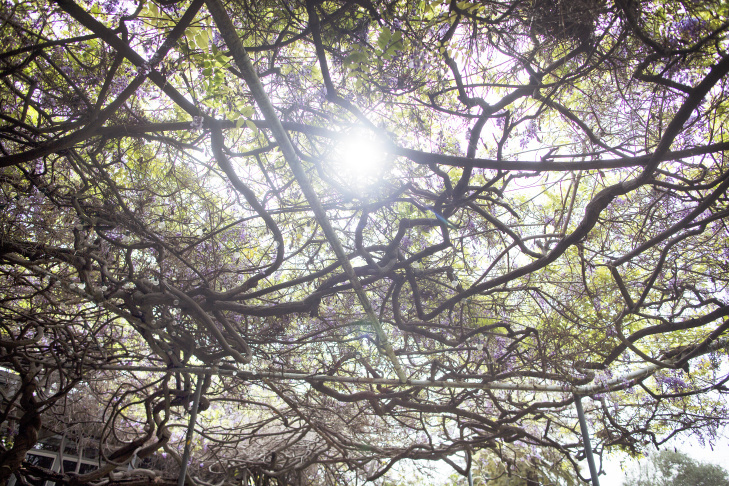 Wistaria Festival: How did Sierra Madre's record-setting wisteria get so big? The vine was first planted in 1894. Sierra Madre has come to be known for its annual Wistaria Festival, and there's even a local restaurant named after it. 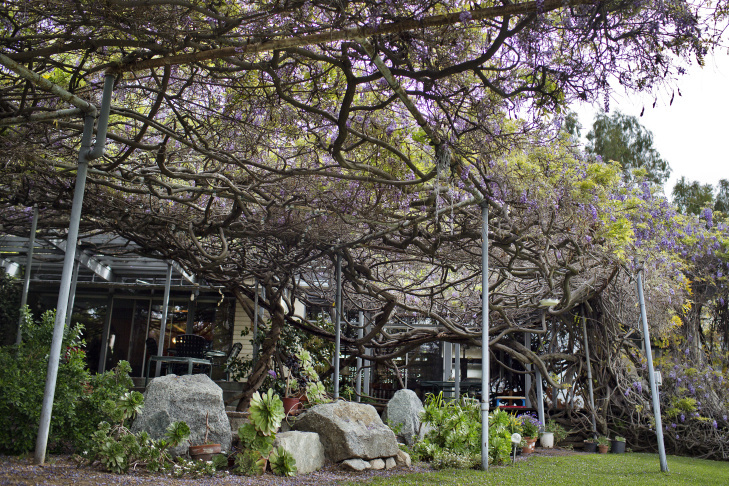 The world's largest wisteria plant, certified by the Guinness Book of World Records, will be open to the public on Sunday, March 16 in Sierra Madre. The one-acre vine stretches across two adjacent Sierra Madre properties on trellises. Homeowner Nel Solt bought this home 41 years ago. Homeowner Nel Solt and her husband bought the house 41 years ago. The wisteria plant's fragrance is very strong in her backyard. 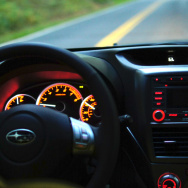 "You don't need to shower, you can just go here," Solt said. The wisteria plant usually blooms for about two weeks in mid-March, but this year it bloomed early because of warmer-than-usual temperatures. 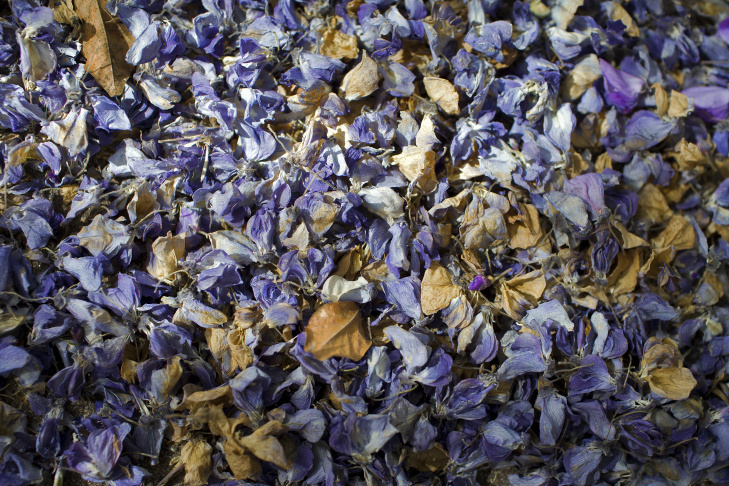 According to the Sierra Madre Chamber of Commerce, the famous wisteria plant has had as many as 1.5 million blooms. Lots of bees can be found in the vine, but homeowner Nel Solt said they rarely fly far from the plant. 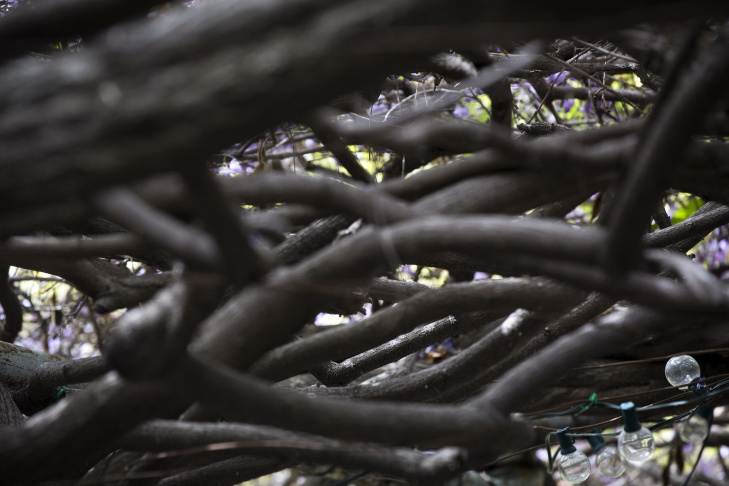 The wisteria vine, which weighed 250 tons when it entered the Guinness World Records in 1990, once crushed a structure on one of the properties. Solt says the wisteria plant doesn't require a lot of maintenance, but she does have to do a lot of sweeping. The vines reach from the front of Nel Solt's property into the backyard and over a fence into her neighbor's backyard. The Wistaria Festival is free to the public on Sunday, March 16, 2014. 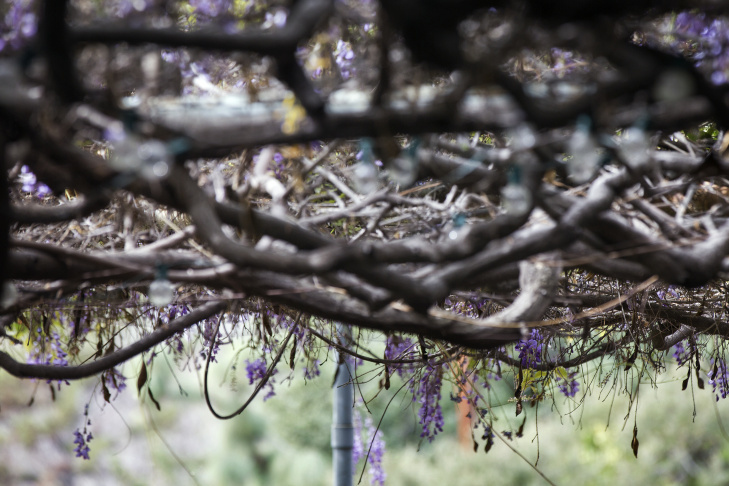 This Sunday the town of Sierra Madre holds its 97th annual Wistaria Festival, during which the public is invited to check out the massive woody vine that’s grown so big it’s in the Guinness Book of World Records as the largest blooming plant. The vine started in 1894 and now covers an acre of land in the foothills of the San Gabriel Mountains. Wisteria is a famously hardy plant. It originally came from Asia where it's prized for its beautiful hanging flowers and ability to live for decades. As for Sierra Madre's famed plant, "It has a lot going for it for why it’s so old and big," said Gretchen North, a biology professor at Occidental College. 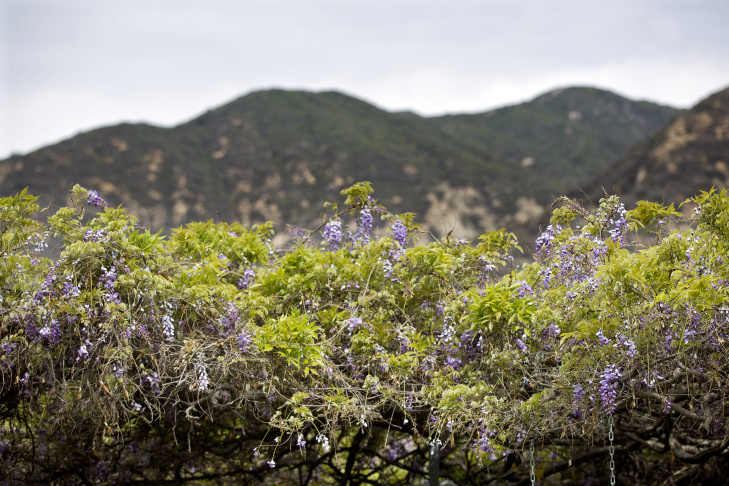 North says the San Gabriel foothills are great for wisteria. The area is not too windy. It’s warm with very few hard frosts. And since the plant is non-native, there aren’t as many natural pests and diseases to harm it. Wisteria is a legume, and North says that means it has a very unique relationship with naturally occurring bacteria in soil called rhizobia. 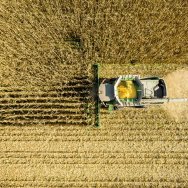 These rhizobia enter the plant's roots and interact with them to create an enzyme that pulls nitrogen from the air into the soil. "So it never suffers for lack of nutrients," North explained. "Basically it can grow in very poor soil and manufacture its own fertilizer." 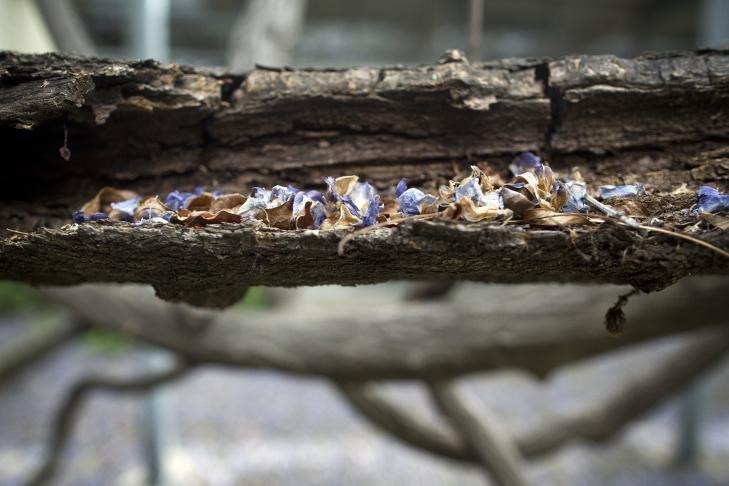 Frank McDonough, the Botanical Information Consultant with the Los Angeles Arboretum, thinks the Sierra Madre wisteria might also be tapping into an underground water source. 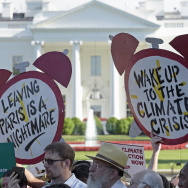 "For a plant to get that big, especially a vine, it's going to need a lot of water," he said. Luckily for the wisteria, McDonough says the area around Sierra Madre is unique in that it has pockets of water not too far underground. Some are fairly isolated, and he thinks the plant may be tapping into one of those pools. He adds it doesn't hurt that the plant has had conscientious owners who occasionally weeded and watered it over the years. "So our symbiosis with that plant is another factor in that plant being so long lived and so big," he said. 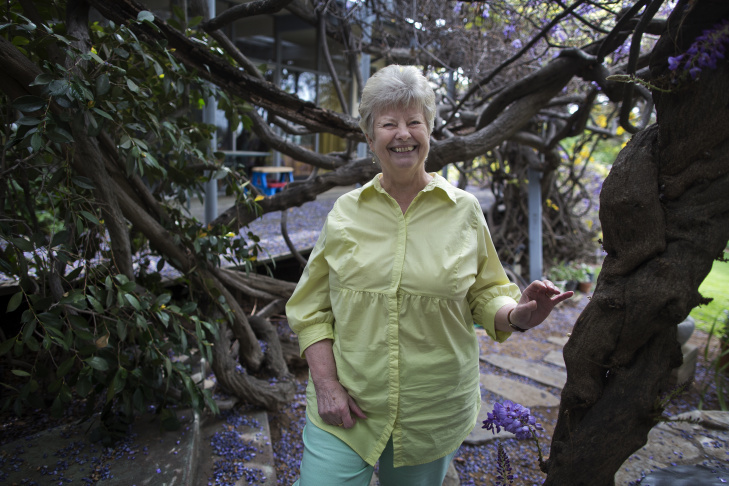 It started as a young vine bought and planted by Alice Brugman in 1894, says Phyllis Chapman, Sierra Madre's unofficial historian. By some estimates wisteria can grow 24 inches in 24 hours. 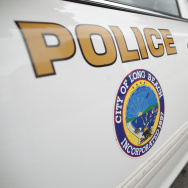 The Sierra Madre plant quickly spread and eventually destroyed the original two-story home on the lot after it was abandoned. 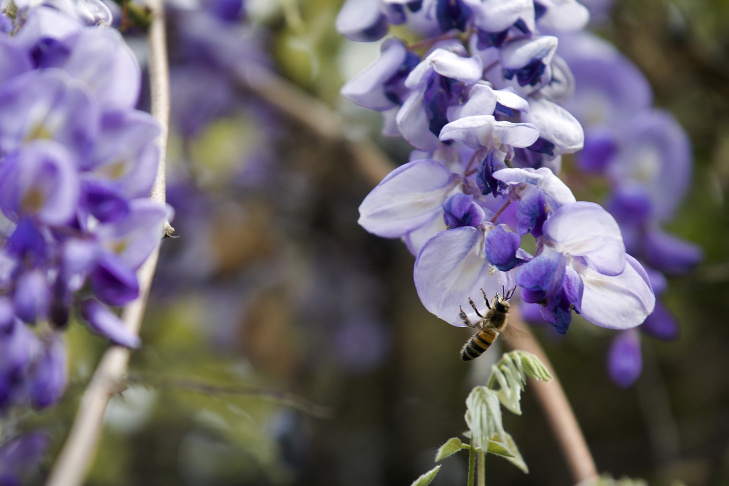 By the way, the plant is commonly spelled "wisteria," but the town of Sierra Madre prefers to spell it "wistaria," a name referring to the American physician Dr. Caspar Wistar. The spelling is a matter of some debate among plant enthusiasts. These days, Sierra Madre's plant grows on trellises that span two backyards. One of those homes is owned by Nell Solt. She waters it in the summer and occasionally trims dead branches, but she says for the most part, it takes care of itself. She is quick to point out she doesn't consider herself a plant expert. "I could kill plastic flowers," she said with a laugh. Lucky for her, this wisteria seems to be doing just fine. 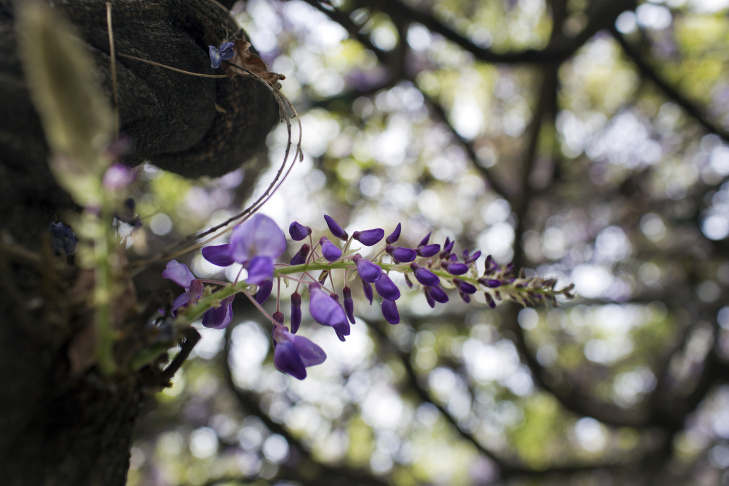 Have you seen Sierra Madre's wisteria? 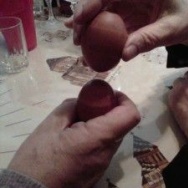 Share you photos with us on Facebook, Instagram or Twitter ("@" mention "@KPCC"). For more information on the Wistaria Festival, which will be held Sunday, March 16, and to buy shuttle tickets to see the plant, click here.